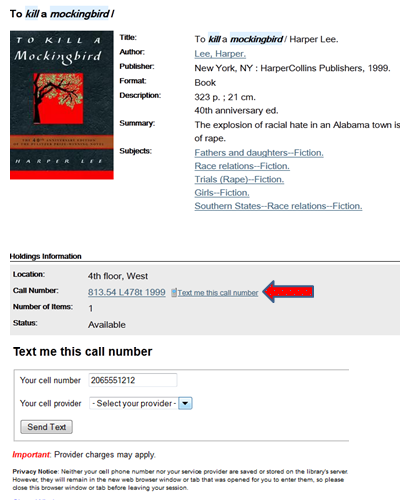 Need to remember a title, call number, and location of a book or other item in the Highline Library Catalog? Text it to your phone! Click on “Text me this call number”, enter your phone number, select your phone provider from the drop-down list, then click “Send text” to send the information to your phone!